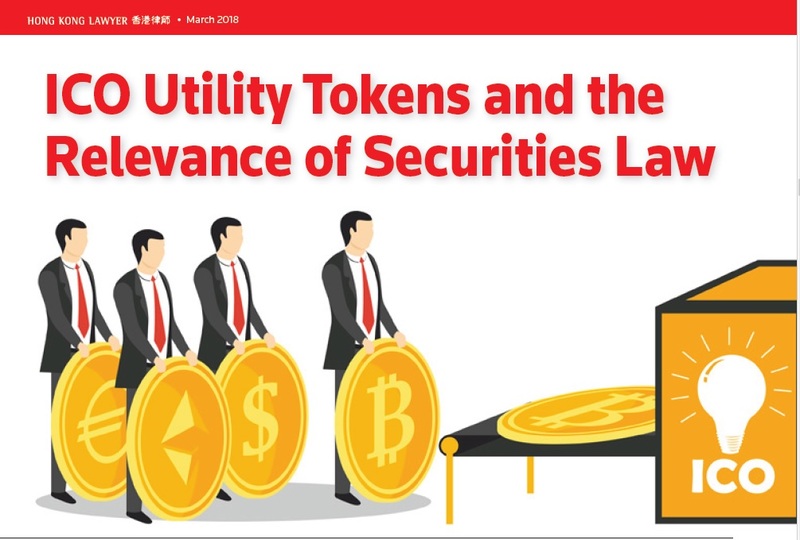 "ICO Utility Tokens and the Relevance of Securities Law"
Abraham Lincoln famously posited that if one calls a tail a leg it doesn't mean that a dog has five legs. Similarly, a blockchain-based token offered in an initial coin offering ('ICO') may, irrespective of how it is called, be a security subject to securities laws applicable to the primary market as well as secondary market activities. ICOs are an example of how new technology is changing the way the public capital market is accessed by business, typically start-ups, in need of capital. The legal treatment of tokens remains unclear in my jurisdictions, which is increasingly problematic as ICO activity has ballooned from around US$300 million during 2013 to 2016 to well in excess of US$5 billion in 2017. As Hong Kong is now considering its potential status as an ICO hub, it is essential that regulatory agencies and market professionals come to grips with a better understanding of how tokens are, or may be, regulated. Second, because of potential similarities to elements in the definition of CIS that align with, though are not identical to, the concept in Howey of a common enterprise in which the efforts of another are key. However, applying existing law to tokens is inherently problematic because blockchain has enabled fundamental changes in the ease and manner of accessing public capital, the cost and time of doing so, the willingness of the public to purchase tokens and the ease of trading them. Hong Kong practitioners will therefore need to exercise some caution when advising on the nature of a proposed token issuance and how it is undertaken. Returning to Abraham Lincoln, he was wrong semantically. If a tail is called a leg then it can be said that a dog has five legs. And if utility token issuances put public capital at risk, expose consumers to fraud, and behave similarly to an investment in established classes of securities, then perhaps that is enough to render it a security within the original intent of the legislature. Practitioners call it "the smell test". Indeed, the SFO provides that "interests, rights or property...commonly known as securities" are to be regarded as securities. On the other hand, calling a security a utility token does not change its nature. Click here to read the full text.